Found one file extension association related to CopyCatX and 1 file format developed specifically for use with CopyCatX. 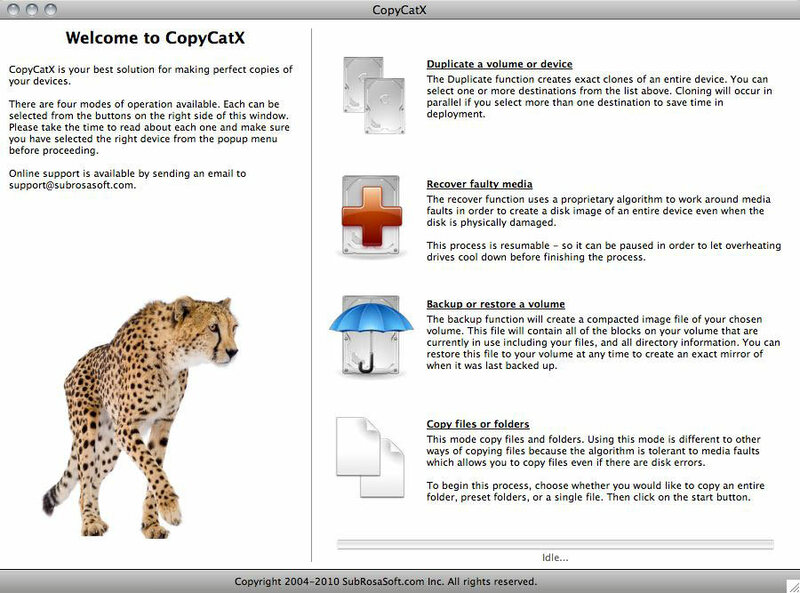 Developer / company: SubRosaSoft.com Inc.
CopyCatX is able to create exact duplicates of hard drives on Mac OS X. It allows users to duplicating volumes, cloning drives, or recovering intermittent and mechanically unsound drives. Using “sector copying” feature allows CopyCatX simplifies the process of creating a perfect clone of a hard drive and retains every detail of the original disk. If you need more information please contact the developers of CopyCatX (SubRosaSoft.com Inc.), or check out their product website.